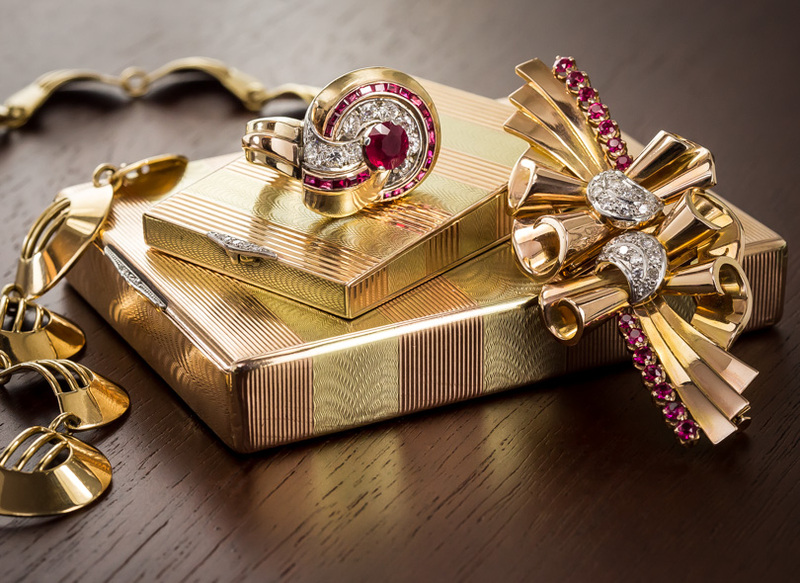 A Retro masterwork with Art Deco influence, this sophisticated design is rendered in 14 karat yellow gold, rose gold and platinum to show off this deep, richly saturated red ruby of Burmese origin. Three vintage square-cut diamonds roll over the scrolled design which also incorporates five European-cut diamonds on the tapered setting's rounded end. A stunning original. 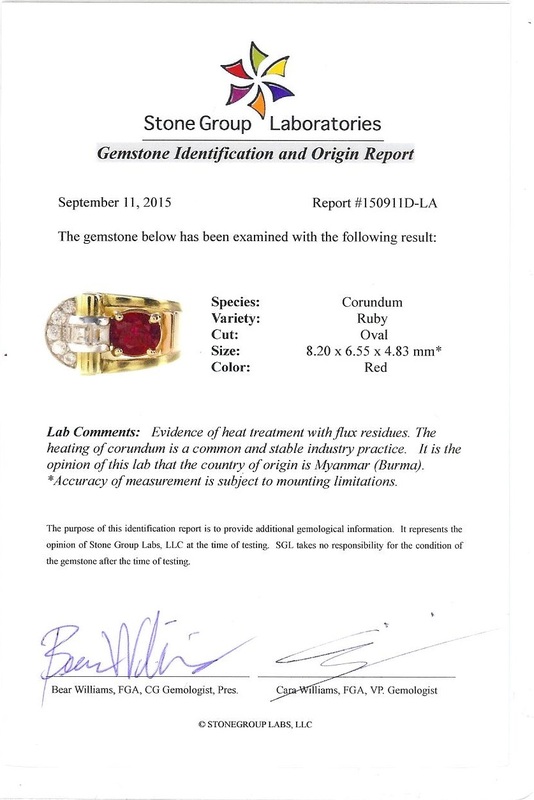 The gemstones are described as follows: One oval-cut ruby weighing 2.11 carats, three square-cut and five European-Cut diamonds weighing .75 carat total weight with H-I color and VS-SI1 clarity. Ring size 5 3/4. 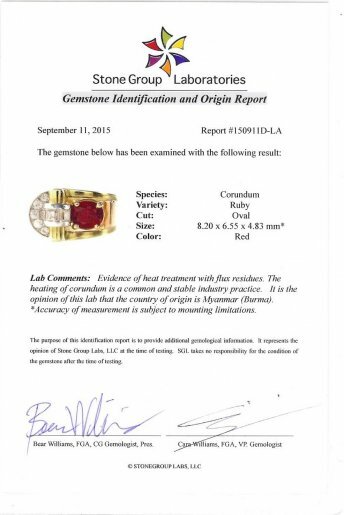 Carat Weight: 2.11 carat Because mountings prohibit full and accurate observation of gem quality and weight, all data pertaining to mounted gems can be considered as approximate unless accompanied by an independent laboratory certificate (AGL, EGL, GIA). Unless otherwise stated, all colored stones and pearls are assumed to be subject to a relatively stable and possibly undetected color and/or clarity enhancement.